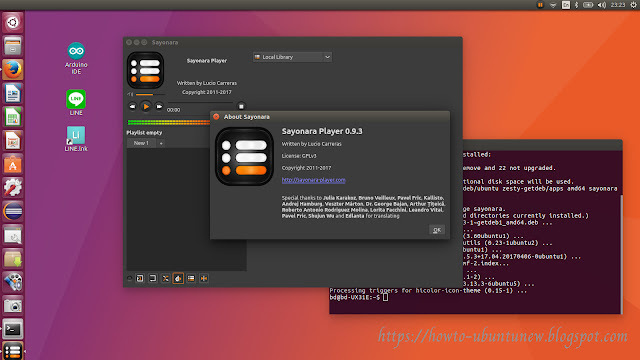 Sayonara is a small and lightweight Linux music player written in C++ with Qt5 framework. It uses Gstreamer as audio backend. The GetDeb repository contains the latest packages of Sayonara, available for Ubuntu 16.04, Ubuntu 16.10, and derivatives.